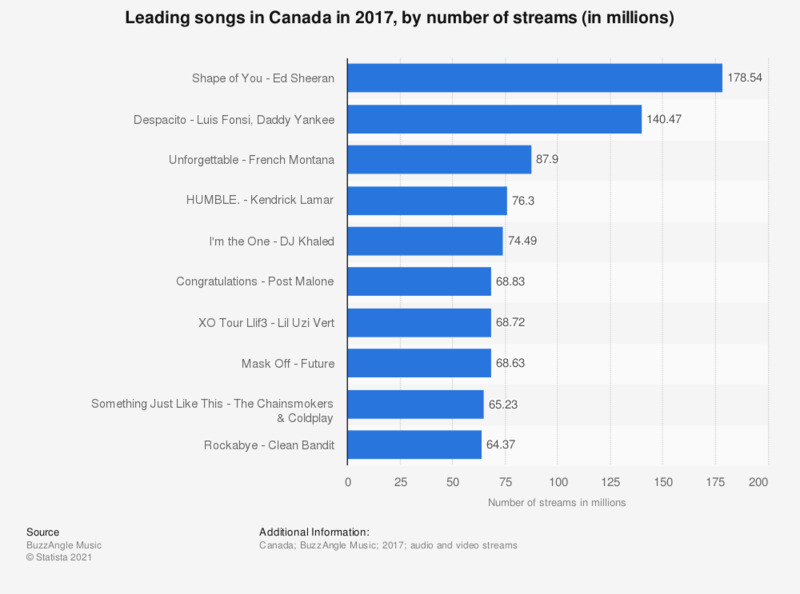 This statistic shows the most popular songs in Canada in 2017, ranked by number of streams. During the reported period the song Shape of You by Ed Sheeran ranked first with 178.54 million audio and video streams. The song Despacito by Luis Fonsi and Daddy Yankee ranked second with 140.47 million streams. Everything On "Music in Canada" in One Document: Edited and Divided into Handy Chapters. Including Detailed References.